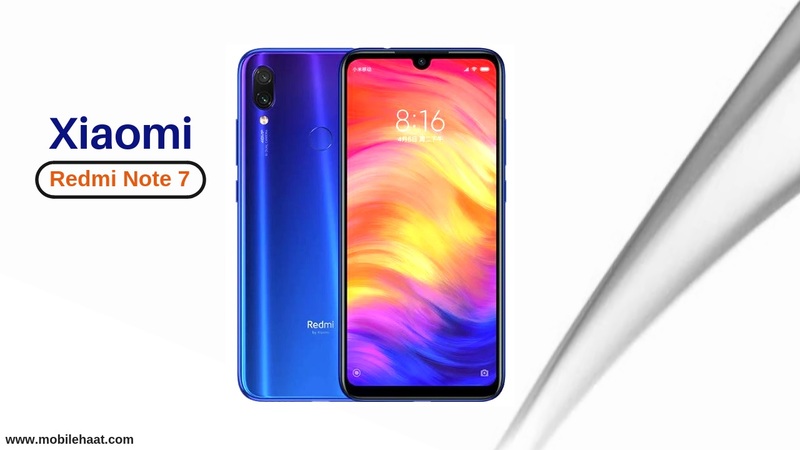 The Xiaomi Redmi Note 7 features a 6.3-inch IPS LCD display with a screen resolution of 1,080 x 2,340 pixels. It has a ratio of19.5:9 and a pixel density of 409 PPI. Under the hood, there are two Kryo 260 quad-core processors with 2.2GHz and 1.8GHz clock speeds. The processor is located on the Qualcomm Snapdragon 660 MSM8956 chipset. These processors also come with 3GB of RAM and Adreno 512 GPUs to handle multitasking or device gaming. The Xiaomi Redmi Note 7 is powered by a 4,000mAh lithium-ion battery and provides a healthy backup time. The inclusion of fast charging makes the department even more powerful. The device has many connectivity options, including 4G with LTE, Wi-Fi, mobile hotspot, Bluetooth, GPS, USB Type C and more. Xiaomi Redmi Note 7 has a 32GB of built-in storage, which is quite good. In addition, you can use a memory card to expand it to 256GB. The device is equipped with a dual main camera set at the back. This setup features 48MP and 5-megapixel lenses for capturing fascinating images. These lenses also record full HD video at 30 fps. There is a 13-megapixel front camera that can click on great selfies and help with video calls.